West Brom boss Tony Pulis expects former Albion player and coach Craig Shakespeare to receive a good reception when he brings his Leicester team to The Hawthorns on Saturday. Former Baggies midfielder Shakespeare made more than 100 appearances for the club in the early 1990s before returning as a community officer towards the end of the decade. He served as an academy coach and then reserve-team coach and even stepped in as caretaker manager for one game in 2006 - overseeing a 2-0 win away at Crystal Palace. Shakespeare left West Brom in 2008 to be reunited with former Baggies boss Nigel Pearson at Leicester and the 53-year-old is now in charge of the Foxes for the remainder of this season following Claudio Ranieri's sacking in February. Asked if he would get a good reception from the home fans, Pulis said: "I should imagine so. He's from this area, he played for Walsall as well. "He was a decent player. He's got his first opportunity and he's done a good job since taking over. "He's a good football man, been in football for a long time. This is the first time he's had the opportunity to lead the team." Pulis has been dealt a double injury blow this week with the news that Matt Phillips and Hal Robson-Kanu look set to miss the next two matches through injury. Both players pulled up with hamstring problems in training on Tuesday and will definitely not be involved against Leicester, and could also miss the trip to Burnley next weekend. Either James Morrison or James McClean will replace Phillips while Salomon Rondon will come in for Robson-Kanu up front, as West Brom look to break a four-game duck without a goal. Leicester boss Shakespeare will not risk Wes Morgan's long-term fitness as the Foxes captain bids to overcome a hamstring injury. Morgan recently missed six matches with a back problem but returned against Atletico Madrid in the Champions League this month, only to hobble out of the second leg of the quarter-final defeat late on with hamstring trouble. That injury ruled him out of the loss at Arsenal and the central defender remains a doubt for Saturday. With the defending champions seemingly almost safe from the threat of relegation, Shakespeare insists Morgan will not be rushed back. "He will be touch and go for Saturday," said Shakespeare. "He trained outside yesterday (Thursday), not fully, with the squad and I'm hoping that if he joins in again today he will be in with a shout tomorrow, but I am going to give him every opportunity to prove his fitness. "I won't put him at risk if he needs rest, even perhaps for the rest of the season. But knowing Wes' character he will want to play. "As I say, he'll be given every opportunity to prove his fitness and then we will have a chat and see where we go with it." Having won his first six matches after replacing Claudio Ranieri in February, Shakespeare is now without a victory in five games, losing three, in all competitions. 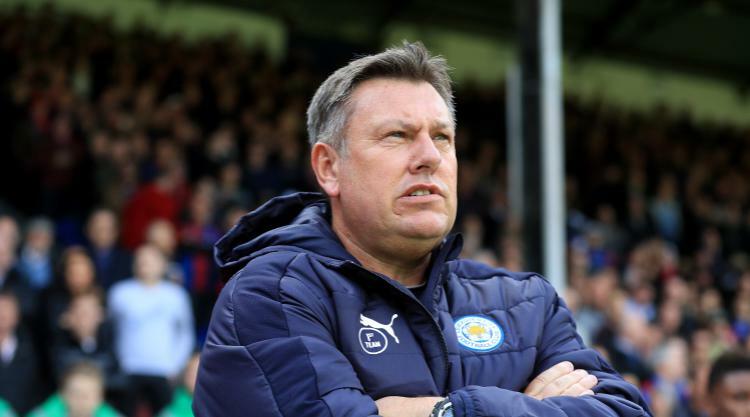 He takes Leicester back to the club he served for so long as a player and a coach on Saturday, and Shakespeare hopes it can spark a return to form and a strong finish to the season, with the 53-year-old targeting maximum points from the remaining five fixtures. "There are 15 points available and we want them all," he said. "I think as a player and a manager you should always want as many points as possible - all the points. "I am very greedy in that sense, I want all 15 points. I want the lot."